OFFENSE: Colin Kaepernick is the quarterback (1,615 passing yards with five TD and six interceptions along with 256 rushing yards, 5.6 ypc and one rushing TD) after missing eight games last season. Blaine Gabbert put up some decent numbers last season (2,031 pass yards with ten TD and seven INT) while Kaepernick was injured and will be ready to go again when needed. Carlos Hyde will be the primary running back after leading the 49ers with 470 rushing yards in 2015 (4.1 ypc average) and he scored three touchdowns. Shaun Draughn (263, 3.5 ypc and one TD) will be in reserve along with Mike Davis and rookie Kelvin Taylor (Florida). The wide receivers are Torrey Smith (33 receptions, 663 yards and four TD), Quinton Patton (30, 394, one TD) and Bruce Ellington (13, 153 yards) who will look to fill the big void that was left when Anquan Boldin went to the Detroit Lions. The tight end is Vance McDonald (30, 326, three TD) and he is backed up by Garrett Celek, who had 19 receptions for 186 yards and three touchdowns. DEFENSE: Playing in the 3-4 alignment, the 49ers will look to Ian Williams at nose tackle while Arik Armstead and rookie DeForest Buckner (Oregon) will play the end spots. In reserve are Glenn Dorsey, Quinton Dial (2 1/2 sacks) and rookie Ronald Blair (Appalachian State). The linebacking unit has Ahmad Brooks and Aaron Lynch on the outside while NaVorro Bowman (2 1/2 sacks) and Gerald Hodges man the inside positions. Brooks and Lynch each registered 6 1/2 QB sacks to lead the team in that category. Tramaine Brock (three interceptions) and either Jimmie Ward or Dontae Johnson will start at the cornerback spots. The safeties are Eric Reid and Antoine Bethea. Rookies Will Redmond (Mississippi State) and Rashard Robinson (LSU) are other possibilities for the cornerback spots. OUTLOOK: Chip Kelly comes into the fold as the new Head Coach for the San Francisco 49ers after wearing out his welcome in year three in Philadelphia. Kelly likes to run the high octane offense and that could fit Colin Kaepernick's style perfectly. Kaerpernick missed half the season a year ago and would do wonders for the team if he could get back to the way he was playing three years ago when the 49ers were a perennial power team. Getting the running game back in high gear is a big priority after the 'Niners slipped to 21st in the NFL in rushing yardage. The offense ranked 31st overall (304 yards per game) and averaged just 15 points per game, which ranked at the bottom of the NFL. The team is looking to Carlos Hyde to carry the bulk of that rushing load this season while the passing game re-tools with speedster Torrey Smith (20.1 yards per catch) leading the way for a group of wide receivers still feeling their way. The defense wasn't much better, finishing 29th overall (387 yards allowed) while ranking 29th against the run (126 yards allowed) and 27th against the pass, giving up 261 yards per game. They also allowed 24.2 points per game. That must improve and with the team using four of their first five drat picks on defense, it is obvious they are rebuilding and aiming to the future. 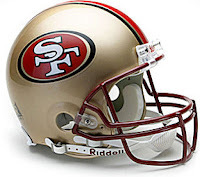 The playoffs are a distant memory as the team gears up for a new season and with the likes of Arizona and Seattle looming large in the NFC West, the 49ers would do well this season to challenge the Los Angeles Rams for third place. OFFENSE: Sam Bradford (3,725 yards, 19 touchdowns, 14 interceptions) is back for his second season as the Eagles' starting quarterback. 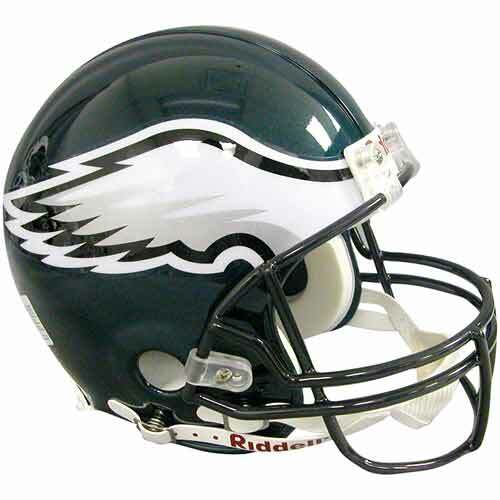 Top rookie pick Carson Wentz (North Dakota State) will be looked at with great interest as the team's future leader. Chase Daniel is insurance in case Bradford is out for any prolonged period with injuries. Ryan Mathews (539 yards, 5.1 ypc average, six TD) should be the main running back now that DeMarco Murray is with the Tennessee Titans. Kenjon Barner (4.4 ypc in limited action) is being looked at as the primary backup while Darren Sproles (317 rush yards, 3.8 ypc, three TD) will continue his role as third down back and as an excellent receiver out of the backfield (55 receptions, 388, one TD). Sproles also led the NFL in punt return yardage and had two returns for touchdowns last season. Jordan Matthews (85, 997, eight TD) is the Eagles top wide receiver and teams with Nelson Agholor (23, 283, one TD) and/or Josh Huff (27, 312, three TD) to make up the core of the unit. Chris Givens is a speedster (19 receptions with 18.2 ypc average and one TD with Baltimore) who may see action as well. The tight ends are Zach Ertz (75, 853, two TD) and Brent Celek, who had 27 catches for 398 yards and three touchdowns. DEFENSE: Brandon Graham (6 1/2 QB sacks) and Connor Barwin (seven sacks) are the defensive ends in the 4-3 set. The tackles are Fletcher Cox (9 1/2 sacks) and Bennie Logan. Others in the mix up front include Vinny Curry (3 1/2 sacks), Beau Allen, Mike Martin and Bryan Braman. The linebacking unit has Mychal Kendricks (three sacks) and Nigel Bradham on the outside while Jordan Hicks (two interceptions) is the middle linebacker. Najee Goode and Deontae Skinner are the main backups. The cornerbacks are Eric Rowe and Nolan Carroll (two picks) along with safeties Rodney McLeod and Malcolm Jenkins (two INT) in the secondary. Others looking to make an impact are Leodis McKelvin, Ron Brooks, Chris Maragos and Ed Reynolds. OUTLOOK: After the debacle of last season when Chip Kelly was sent packing prior to the final game of the season, the Eagles hired Doug Pederson as Head Coach in the off-season in the hopes he can bring some stability back to the team after Kelly lost them, evidenced by harsh criticism from former key players Kelly traded away. The offense was average at best last season with Bradford directing the way. An improved running game is crucial to balancing the offense this season. If RB Ryan Mathews can have a big season running the ball, it would really bolster the Philadelphia offense, which scored 23.6 points per game a year ago. The defense has to get better, particularly against the run, where they ranked last in the NFL, giving up 135 yards per game. The defense overall was 30th in the league, allowing 402 yards per game while giving up 27 points per game. The NFC East appears to be a wide open race and if the Eagles can get off to a high flying start, it would benefit them as they have three home games at the end of schedule against their division foes. It won't be easy as the team adjusts to a new system on offense while looking for vast improvement from their defense. A playoff appearance is not impossible, but it's not likely to happen for the Eagles this season. OFFENSE: Eli Manning is back as the starting quarterback after throwing 35 touchdown passes last season (14 interceptions) and passing for 4,432 yards. Ryan Nassib will likely be the backup QB once again. Rashad Jennings ran for 863 yards (4.4 ypc average) and three touchdowns last year and will get the bulk of the carries again this year. Shane Vereen (260 yards, 4.3 ypc and 59 receptions for 494 yards and four TD) and Andre Williams (257 yards and one TD) will back up. The wide receivers are led by perhaps the best in the NFL as Odell Beckham, Jr. (96 receptions for 1,450 yards and 13 touchdowns) leads the way. Victor Cruz, who hasn't played in two seasons, is hopeful he will be ready by the opening of the regular season. The Giants need someone to step up to replace Rueben Randle, who left for free agency. Sterling Shepard (Oklahoma) is a rookie who will be expected to step in right away along with others including Myles White, Dwayne Harris (36, 396, four TD) and possibly Paul Perkins, another rookie (UCLA). Tight End Larry Donnell had 29 receptions for 223 yards and two scores last season and again will split time with Will Tye (42, 464, three TD). DEFENSE: Jason Pierre-Paul and Olivier Vernon will be the ends in the 4-3 set while the tackles are Damon Harrison and Johnathan Hankins. The linebackers include middle man Keenan Robinson while J.T. Thomas and Devon Kennard play the outside spots. Rookie B.J. Goodson (Clemson) can play the inside linebacker position and along with Jonathan Casillas, Jasper Brinkley and Mark Herzlich will be ready when called upon. The secondary features safeties Landon Collins and Nat Berhe along with corners Dominique Rodgers-Cromartie and free agent signee Janoris Jenkins, who had three interceptions with the Rams last year. Rookies Eli Apple (CB, Ohio State) and Darian Thompson (free safety, Boise State) will look to make an impact in the defensive backfield. 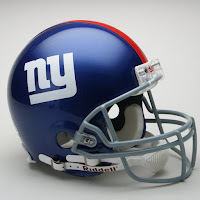 OUTLOOK: The Giants have a new Head Coach as Ben McAdoo takes over from Tom Coughlin (two Super Bowl titles in his era) and looks to see the defense improve from a league worst 32nd rank (420 yards allowed) which included getting torched to the tune of 299 passing yards allowed per game. In addition, the Giants gave up 27.6 points per game. Bringing in Jenkins and drafting two rookies for the secondary should help, but the defensive front seven MUST get more pressure on opposing quarterbacks this year after a paltry 23 sacks for the team in 2015. Stopping the run (121 yards allowed) is vital as well to improve on the weak 24th NFL ranking there. The offense (26 points per game) is in good hands with Eli Manning throwing the ball to Odell Beckham, Jr. and (possibly) Victor Cruz as well. Shane Vereen is an excellent receiver out of the backfield and should provide the check down safety valve for Manning once again. Rashad Jennings is a solid running back which helps balance the offense. If the Giants can get better performance from the defense and the offense remains consistent as they were last season, this team can compete in the NFC East. The Giants are looking to return to the playoffs for the first time in five years (Super Bowl title season of 2011) and that is not out of the question. OFFENSE: Returning for eleventh season as the Saints' starting quarterback is Drew Brees, who led the NFL in passing yardage last season with 4,870 yards to go with 32 touchdowns and only eleven interceptions. Luke McCown backs up the future Hall-of-Fame quarterback. Mark Ingram leads the running game and is coming off a season in which he was banged up, missing four games while amassing 769 yards (4.6 ypc average) and scoring six touchdowns. Tim Hightower (375 yards, 3.9 ypc, four TD) is in the backfield as well. C.J. Spiller (112 rushing yards along with 34 receptions and two receiving TD) is a decent third down back. Travaris Cadet is another option in the running game. The wide receiving corps has Brandin Cooks (84 receptions for 1,138 yards and nine TD) starting along with either rookie Michael Thomas (Ohio State) or Willie Snead, who had 69 receptions last season for 984 yards and three scores. Brandon Coleman (45, 520, four TD) and perhaps WR/TE Josh Hill (16, 120, two TD) will add into the mix as well. Coby Fleener comes aboard a the tight end after Benjamin Watson left for Baltimore. Fleener played with Indianapolis last season and made 54 catches for 491 yards and three touchdowns. DEFENSE: Nick Fairley and John Jenkins are the tackles in the 4-3 alignment along with ends Cameron Jordan (ten QB sacks) and Hau'oli Kikaha, who had four sacks. Rookie Sheldon Rankins (Louisville) could have an impact up front while Bobby Richardson and Tyeler Davison will rotate in when needed. James Laurinaitis comes over from the Rams to play middle linebacker while Dannell Ellerbe and Stephone Anthony man the outside spots. Craig Robertson, Michael Mauti and Nate Stupar are the back up linebackers. 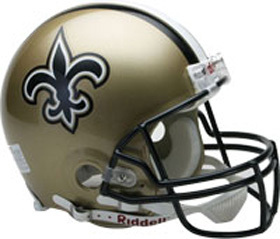 The safeties include Jairus Byrd and Kenny Vaccaro. The cornerbacks are Delvin Breaux (three interceptions) and Keenan Lewis. Rookie Vonn Bell (Ohio State) could help immediately while Jamarca Sanford will fill in at the other safety spot. Reserve corners include Damian Swann and Kyle Wilson. OUTLOOK: The Saints were a disappointment last year, but Drew Brees and company continue to do their thing as the offense finished second in the NFL a year ago, averaging 404 yards per game and was number one in passing (311 yards per game) while averaging 25.5 points per game. Not bad ... except the defense gave it all back and then some while ranking 31st in all three defensive categories. New Orleans allowed just under 30 points per game (last in the NFL) and gave up 40-plus points three times last season. An improved pass rush is a must after just 31 QB sacks a year ago. To help solve the issues on defense, the Saints brought in some veteran talent in Nick Fairley (DT) and James Laurinaitis (LB) while picking two players (a defensive lineman and strong safety) in the NFL Draft. Head Coach Sean Payton always has the offense clicking with Brees at the controls, it's just the defense that needs to get it together after two very sub par seasons in a row. That is the key to New Orleans returning back to playoff contention this season as they attempt to overtake the Carolina Panthers in the NFC South. Look for another season of high flying antics and lighting up the scoreboards as the Saints attempt to get back to the playoffs for the first time in three years. Take a look at the short video below . . . OFFENSE: Teddy Bridgewater is the quarterback, having passed for 3,231 yards last season with 14 touchdowns and nine interceptions. Bridgewater also scored three rushing touchdowns while gaining 192 yards on the ground. The backup QB is journeyman Shaun Hill. Running back Adrian Peterson led the NFL in rushing (again) last season after basically a year-long NFL mandated suspension in 2014 by going for 1,485 yards (4.5 ypc average) and scored eleven touchdowns, including an 80-yard romp. His backup is Jerris McKinnon (271, 5.2 ypc and two scores), who is a very reliable running back in his own right. The wide receivers have Stefon Diggs (52 receptions for 720 yards and four TD), Jarius Wright (34, 442 yards), Charles Johnson and rookie Laquon Treadwell (Ole Miss), who is exepected to step right in and be a starter this season. The tight end is Kyle Rudolph, who made 49 receptions for 495 yards and a team-leading five touchdowns. DEFENSE: Everson Griffen (10 1/2 QB sacks) and Brian Robison are the ends in the 4-3 alignment. 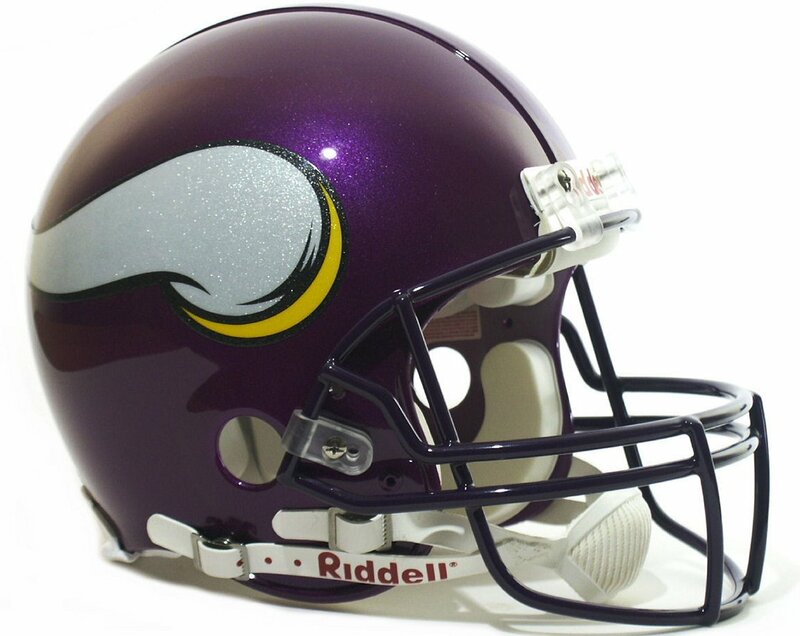 The tackles will be Sharrif Floyd and Linval Joseph. Tom Johnson (5 1/2 sacks), Shamar Stephen, Danielle Hunter (six sacks) and Scott Crichton will be in reserve. The linebacking unit includes Eric Kendricks (four sacks) in the middle along with outside backers Anthony Barr (3 1/2 sacks) and Chad Greenway. Travis Lewis, Audie Cole and Emmanuel Lamur will spell the starters. The secondary features Michael Griffin and Harrison Smith (two interceptions) as the safeties. The corners are Terrence Newman (three INT) and Xavier Rhodes. Rookie Mackensie Alexander (Clemson), along with Captain Munnerlyn (two picks), Trae Waynes, Andrew Sendejo and Anton Exum will be the backups. OUTLOOK: The Vikings won the NFC North division a year ago and surprised many at the quick improvement they showed. Of course having Adrian Peterson, the best running back in the NFL back on the team helped immensely. 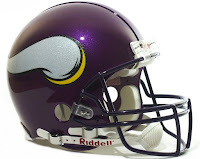 The offense centers around Peterson and as long as he is healthy and running strong, the Vikings are competitive. Quarterback Teddy Bridgewater continued to develop in 2015 and with a solid contingent of receivers to throw the football to, should continue to get better this season. The defense is pretty solid, amassing 43 QB sacks while intercepting 13 passes a year ago. They allowed just 19 points per game (5th in NFL) while ranking 13th in the league in overall defense, yielding an average of 344 yards per game. Head Coach Mike Zimmer is known as a defensive guru and will again look to the defense to keep opponents in check and give the Vikings a chance in games. The offense should do better with two reliable wideouts in the fold along with A.P. and the running game. The Vikings do need to mix it up a bit more this season after ranking 31st in passing a year ago. Look for Minnesota (barring any major injuries to key players of course) to battle with the Green Bay Packers once again for the division crown. It could come down to that game on Christmas Eve when they face each other in Green Bay. OFFENSE: The quarterback situation for the Rams appears to be in flux as the regular season approaches. Top draft pick Jared Goff (California) has been dropped on the depth chart, leaving Case Keenum as the starter. Keenum passed for 828 yards last season with four touchdowns and one interception in six games. Goff and Sean Mannion will start the season in reserve. The running game is on much more solid ground with Todd Gurley entering his second season after a stellar rookie year in which he rushed for 1,106 yards (4.8 ypc average) and scored ten touchdowns. Backing up Gurley will be Benny Cunningham (140 yards) and Tre Mason, who gained 207 yards and scored one touchdown. The wide receivers include Tavon Austin, who led the team with 52 receptions (for 473 yards) and also five touchdowns, and Kenny Britt (36, 681, three TD). Brian Quick (10, 102), Bradley Marquez and rookie Pharoh Cooper (South Carolina) are also in the mix. 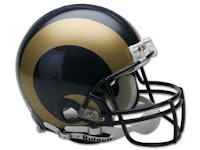 The tight ends are Lance Kendricks (25, 245, two TD) and Cory Harkey, along with rookie Tyler Higbee (Western Kentucky). DEFENSE: The Rams play the 4-3 set with William Hayes (5 1/2 QB sacks) and Robert Quinn (five sacks) at the ends. The tackles are Aaron Donald (eleven sacks) and Michael Brockers. Quinton Coples, Eugene Sims, Ethan Westbrooks and Louis Trinca-Pasat are the backups. At linebacker will be Alec Ogletree in the middle along with outside backers Akeem Ayers and Mark Barron. Zack Hodges, Bryce Hager and Cameron Lynch provide relief. Trumaine Johnson made seven interceptions (co-leader in NFC) and will be at cornerback spot along with Rohan Gaines. The safeties are T.J. McDonald and Maurice Alexander. Free agent Coty Sensabaugh, along with Lamarcus Joyner, Christian Bryant and Cody Davis will fill in when needed. OUTLOOK: The offense has nowhere to go but up after finishing dead last in the NFL with an average of only 298 yards per game in the 2015 season. The Rams averaged only 17.5 points per game while the passing game was at the bottom of the league as well, managing a paltry 175 yards per game. Goff was selected as the first overall pick to attempt to solve the issues there, but so far Head Coach Jeff Fisher has not been impressed. Case Keenum is a journeyman quarterback and will likely be the starter when the season begins. Todd Gurley will get better and better as he pounds and churns out the yardage in the backfield. He has the break away speed as evidenced by a 71-yard TD run last year. The defense was decent last year and had a bend but not break mentality as they allowed just 20.6 points per game, which ranked 13th overall in the NFL. If the team can get any improvement from their passing game, it will lessen the pressure the defenses put on Gurley in the running game. That remains to be seen and the Rams play in the NFC West against two of the league's better defenses in Seattle and Arizona. After a 7-9 finish a year ago in St. Louis, the Rams packed it up and headed back West to Los Angeles, where they played for many years up until the 1995 season. Whether or not they give the L.A. crowds reason to cheer very often depends on the offense getting its act together this season. 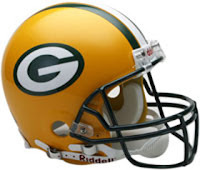 OFFENSE: Quarterback Aaron Rodgers continues to be his usual brilliant self, passing for 3,821 yards last season along with 31 touchdowns and just eight interceptions. Brett Hundley will likely be the backup. Rodgers was able to do that without his primary wide receiver Jordy Nelson, who missed all of last season with a knee injury. The Packers are looking forward to having Nelson back in the fold along with Randall Cobb, who had 79 receptions for 829 yards and six touchdowns. Jared Abbrederis, Ty Montgomery (15, 136, two TD), Jeff Janis and Devante Adams (50, 483, one TD) will be the other targets in the passing game. Richard Rodgers (58, 510, eight TD) and Jared Cook (39, 481 yards with the Rams) are the tight ends. The running game features Eddie Lacy, who ran for 758 yards (4.1 ypc average) with three touchdowns while playing overweight last season. James Starks (601, 4.1 ypc and two TD) is on hand once again to spell Lacy. John Crockett is another possible backfield option. DEFENSE: Letroy Guion (end), tackle Mike Daniels (four QB sacks) and possibly rookie Kenny Clark (UCLA) at the other tackle will form the front in the Packers 3-4 defensive scheme. Datone Jones (three sacks) and Mike Pennel are in the fold as well. The linebackers are the strength of the defense, anchored by Clay Matthews (6 1/2 sacks) and Julius Peppers (10 1/2 sacks) on the outside. The inside men are Jake Ryan and Joe Thomas, though rookie Blake Martinez (Stanford) could push for a starting spot inside. Veteran Nick Perry (3 1/2 sacks), along with Sam Barrington, Jayrone Elliott (three sacks) and rookie Kyle Fackrell (Utah State) provide depth. The safeties are Morgan Burnett and Ha Ha Clinton-Dix (two INT and three sacks). The corners include Damarious Randall and Sam Shields, who each had three interceptions. The reserves are Quinten Rollins, Demetri Goodson, Micah Hyde (three picks) and Chris Banjo. OUTLOOK: Having all of their key players on offense healthy for the full season is huge for the Packers heading into the 2016 season after they slipped to second in the NFC North division last year. Aaron Rodgers and Jordy Nelson are one of the best passing tandems in the NFL and if Nelson isn't near his old self, the Packers air attack could suffer once again, lacking the big play maker they sorely missed in 2015. The offense ranked 23rd in the NFL last year (335 yards per game) and averaged 23 points a game. Lack of big passing plays hurt the Green Bay attack. In addition, better pass protection for the quarterback would be a plus as Rodgers was sacked 47 times last season. Defensively, Green Bay gave up 20 points per game and ranked 15th overall, yielding 347 yards per game. They did amass 43 sacks while intercepting 16 passes, but struggled against the run, giving up 119 yards per game (21st in NFL). Head Coach Mike McCarthy always has a chance with Rodgers in his corner, but the rest of the offense has to click as well. With the wide receiving corps in tact and the running game getting back to form with Lacy (in shape) and Starks providing solid back up, the offense should put up more points on the score board. The NFC North appears to be a two-team race once again between the Packers and Minnesota Vikings, who beat the Packers (in Lambeau Field) in the final game to win the division. The playoffs are a definitely possibility once again, but a lot depends on the defense playing well and Rodgers and company staying healthy. OFFENSE: Matthew Stafford returns for his eighth season as the Lions starting quarterback after passing for 4,262 yards with 32 touchdowns and 13 interceptions. 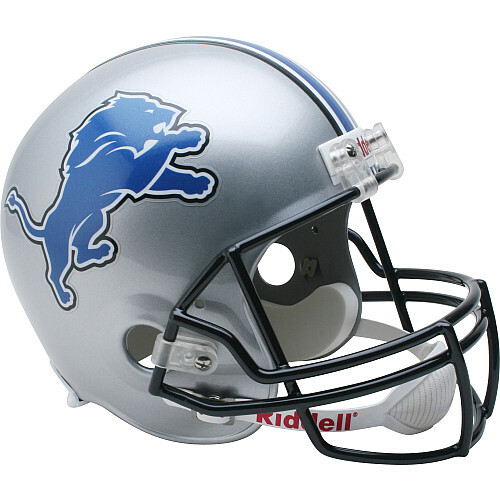 Backing him up will likely be Dan Orlovsky (201 yards, one TD, one INT) or rookie Jake Rudock (Michigan). Joique Bell wasn't retained in the off-season, meaning Ameer Abdullah (597 yards, 4.2 ypc average and two TD) will be the primary running back. Theo Riddick (133 yards rushing, but also 80 receptions for 697 yards and three TD) and Stevan Ridley will sub in when needed. The biggest absence for the team will be felt at wide receiver after Calvin Johnson retired unexpectedly. In his place will be former All-Pro Anquan Boldin, a journey wideout who caught 69 passes a year ago for 789 yards and four touchdowns with San Francisco. Golden Tate (90, 813, six TD) is the other starter. The tight ends are Eric Ebron (47, 537, five TD) and Brandon Pettigrew, who had seven receptions with one score last season. Other receivers in the mix include Marvin Jones (65, 816, four TD with Cincinnati) and Jeremy Kerley (16, 152, two TD with the Jets). DEFENSE: The front four of the 4-3 set includes tackles Haloti Ngata and Tyrunn Walker or rookie A'Shawn Robinson (Alabama). The ends are pass rusher extraordinaire Ezekiel Ansah (14 1/2 QB sacks) and Devin Taylor, who had seven sacks last season. The linebackers will be DeAndre Levy (out last year with injuries) and Josh Bynes on the outside. The middle linebacker is Tahir Whitehead. Filling in this season are Kyle Van Noy, Zaviar Gooden and Jerry Franklin. The defensive backs are corners Darius Slay (two interceptions) and Nevin Lawson. The safeties are Rafael Bush and Glover Quin, who led the team with four picks, including one for a touchdown. Quandre Diggs, Ian Walls, Tavon Wilson, rookie Miles Killebrew (Southern Utah) and Johnson Bademosi round out the reserves. OUTLOOK: Coming off a losing season and then losing their best offensive weapon to retirement, the Lions could not be blamed for having a doom and gloom outlook for the 2016 season. However, Head Coach Jim Caldwell knows his team is capable of a quick turnaround with the defense they play. Quarterback Matthew Stafford had a solid season and has shown he can put up some big numbers in past seasons. With a fairly solid receiving corps, Stafford can spread it around and then throw in Theo Riddick making grabs out of the backfield to go with the speed of Ameer Abdullah at running back and the offense could very potent. 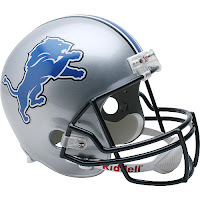 Improving a league worst rushing attack (83 yards per game) is vital for the Lions to be able to do just that. The defense was adequate last year after a superb 2014 season during which they came up with numerous turnovers. They need to get that magic back after a minus-six in that area last year. Detroit did amass 43 QB sacks while giving up 44 sacks. A lot will depend on the offense getting back to lighting up the scoreboard (they slipped to just 22 points per game last year) as they have done in the past with Stafford and company. They face stiff competition in their division with Green Bay and Minnesota (both playoff teams in 2015) and an improving Chicago Bears team, but they can compete if they avoid the mistakes and play solid defense. OFFENSE: As long as he is healthy, Tony Romo is the Cowboys' starting quarterback. Romo played in just four games in 2015, passing for 884 yards with five touchdowns and seven interceptions. Backing up will likely be rookie Dak Prescott (Mississippi State) as Kellen Moore is out indefinitely with a broken leg. The running game will have depth and they may need it as rookie Ezekiel Elliott (Ohio State) the team's top draft pick, has lingering hamstring issues. Darren McFadden did well a year ago, playing in all 16 games while leading Dallas in rushing with 1,089 yards (4.6 ypc average) and scored three touchdowns. McFadden has a long history with injuries during his NFL career, so Alfred Morris was also signed to provide more depth after going for 751 yards (3.7 ypc) with one score with Washington last season. Lance Dunbar is another possibility for the running game. Dez Bryant, who also missed a lot of playing time a year ago, is back to lead the wide receivers. Bryant was limited to nine games while making 31 catches for 401 yards and three touchdowns. 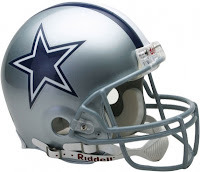 Along with him will be Terrance Williams (52 receptions, 840 yards, three TD) and Cole Beasley (52, 536, five TD). The tight end is future Hall-of-Famer Jason Witten, who led the 'Pokes with 77 receptions in 2015 for 713 yards and three scores. DEFENSE: Two members of the front line face suspensions to start the season, but Dallas has depth as they drafted Maliek Collins (Nebraska) and Tapper Collins (Oklahoma) to possibly fill the void of ends Demarcus Lawrence (eight QB sacks) and Randy Gregory. The tackles are Cedric Thornton and Tyrone Crawford (five sacks). Free agent DE Benson Mayowa will help out this season along with Jack Crawford, who registered four sacks. Sean Lee and Anthony Hitchens are the outside linebackers along with middle man Rolando McClain. Rookie Jaylon Smith (Notre Dame), Damien Wilson and Kyle Wilber will provide depth. The secondary has Morris Claiborne and Orlando Scandrick playing the corner spots. The safeties will be Barry Church and Byron Jones, who also doubles as a cornerback. Reserve safety Jeff Heath led the team with two interceptions last season. Rookies Kavon Frazier (Central Michigan) and Anthony Brown (Purdue) may also get a shot this season. OUTLOOK: Keeping all their vital cogs in the offense on the field at the same time is the key for the Dallas Cowboys this year. Tony Romo is entering his 11th season as the starter and along with (rookie) Ezekiel Elliott and Darren McFadden in the backfield gives the Cowboys the potential for a very explosive offense. Wide receiver Dez Bryant and TE Jason Witten provide Romo the targets he needs in the passing game and in the past this trio has shown they can be dominant. Cowboys Head Coach Jason Garrett is counting on that for success this season or else the "hot seat" conversation may begin once again regarding his future in Dallas. The defense played fairly well last season, giving up 23.4 points per game while ranking in the middle of the pack overall. The pass defense was fifth (227 yards allowed per game) but needs to get after the quarterback better, evidenced by just 31 sacks. The secondary only tallied eight interceptions a year ago and that MUST improve. Dallas also has to take better care of the football as they ranked at the bottom of the league with a minus-22 in the turnover category. The Cowboys can win the NFC East again but it will come down to Romo staying in one piece and the rest of the offense returning to the scoring machine it was two years ago when they dominated their division. The playoffs are a real possibility after the disaster that was last season. OFFENSE: Jay Cutler is back for another season following his throwing for 3,659 yards with 21 touchdowns and eleven interceptions. Backing up will be veteran Brian Hoyer (2,606 yards with 19 TD and seven INT) who comes over from Houston. The running game will be with a new feature back as Jeremy Langford takes over for Matt Forte, who signed with the New York Jets this off-season. Langford gained 537 yards (3.6 ypc average) to go with six rushing touchdowns. He also made 22 receptions for 279 yards and a touchdown. Ka'Deem Carey (159 yards, 3.7 ypc, two TD) and perhaps rookie back Jordan Howard (Indiana) will be the reserves. The wide receivers have two players who can extend the field when healthy. Alshon Jeffery (54 receptions, 804 yards and four TD) missed six games last season while Kevin White missed the entire season of his rookie campaign with leg injuries. Backing up will be Josh Bellamy (19, 224, two TD), Marquess Wilson (28, 464, one TD), Eddie Royal (37, 238, one TD) and Marc Mariani (22 catches for 300 yards). The tight end is Zach Miller, who had 34 grabs for 439 yards and five scores. 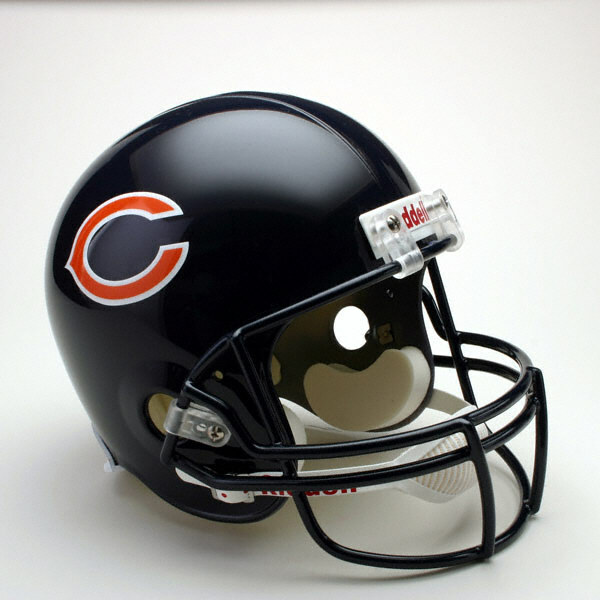 DEFENSE: In the 3-4 alignment, the Bears have Eddie Goldman (4 1/2 QB sacks) at the nose tackle with either Mitch Unrein or rookie Jonathan Bullard (Florida) at a tackle spot while Akiem Hicks plays the other tackle spot. In reserve will be Will Sutton, Cornelius Washington and Ego Ferguson. The inside linebackers include Danny Trevathan and Jerrell Freeman, both free agent signings this off-season. The outside men are Willie Young (6 1/2 QB sacks) and Pernell McPhee, who made six sacks. Others include rookie Leonard Floyd (top pick from Georgia), Lamarr Houston (eight sacks), John Timu, Aaron Brewer and perhaps rookie Nick Kwaitkoski (West Virginia). The secondary includes safeties Adrian Amos and Harold Jones-Quartey. The corner men are Kyle Fuller (two interceptions) and veteran Tracy Porter. Rookies Deon Bush (Miami, FL) and Deiondre' Hall (Northern Iowa) are looking to make an impact along with Sherrick McManis, Bryce Callahan and Omar Bolden. OUTLOOK: The Bears attempted to overhaul the offensive line, the running game and even add more tweaks to the defense, which was much improved from the disaster it became in the 2014 season. Whether or not those off-season moves pan out depends on the playing abilities of the players brought into the system that Head Coach John Fox is looking to continue to employ. With Jay Cutler at quarterback, the Bears feel confident the offense can improve from mediocrity (21st overall and 23rd in scoring) when they averaged just under 21 points per game a year ago. The big question is whether Jeremy Langford is ready to make people forget about Matt Forte, who for years was a good bulk of the teams' offensive numbers. The passing game should be better as long as Jeffery and White are on the field providing Cutler with the downfield targets he so sorely lacked last season. The Bears' biggest play went to the tight end for 87 yards. Continued field efficiency from Cutler would also be a plus as he cut down on his turnovers last year dramatically from previous years. The defense was better in 2015, finishing 14th overall (345 yards per game allowed) while ranking fourth in the NFL against the pass, giving up 225 yards per game, including 35 QB sacks. The secondary was tight, but more turnovers would help. The Bears defense had only eight interceptions last year. Playing in the NFC North means facing division champion Minnesota and perennial powerhouse Green Bay twice a year and the Bears know these two teams, along with the Detroit Lions, very well. If the team can get off to a good start with an easier schedule the first six games as opposed to 2015, the Bears can be competitive. It's always important to win the division games and have a good start. The Bears appear to be building for the future while also trying to remain relevant in the standings, which is a tough road to go down. With a few breaks and by staying in good health, an improved record for the 2016 season is not out of the question. OFFENSE: After an MVP season in 2015, quarterback Cam Newton is back to lead the offense. Newton passed for 3,837 yards with 35 touchdowns and only ten interceptions last season. He also scored ten rushing touchdowns while amassing 636 yards (4.8 ypc) on the ground. Derek Anderson holds the clip board. The Panthers have Jonathan Stewart (989 yards in 13 games with 4.1 ypc average and six TD) back to lead the running game. Mike Tolbert ran for 256 yards (4.1 ypc) and scored a touchdown. Fozzy Whittaker (108 yards and one score) and Cameron Artis-Payne (183 yards and one TD) round out the second leading rushing team in the NFL last year. Tight End Greg Olsen (77 receptions for 1,104 yards and seven TD) led the team in receiving a year ago, but with top wideout Kelvin Benjamin expected back this year after missing the entire season in 2015, that should change. 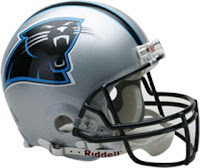 Along with Benjamin, either Ted Ginn, Jr. (44, 739, ten TD) or Devin Funchess (31, 473, five TD) will start. Also in the mix is Philly Brown, who had 31 receptions for 447 yards and four touchdowns. DEFENSE: Playing in the 4-3 set, Carolina will go with Kawann Short (11 QB sacks) and Star Lotulelei at the tackles with Charles Johnson and Kony Ealy (five sacks) at end. Rookie Vernon Butler (Louisiana Tech), Mario Addison (six sacks), Paul Solial and Wes Horton will fill in when needed. The linebackers are Luke Kuechly (four interceptions, one for TD) in the middle while Thomas Davis (5 1/2 sacks and four picks) and Shaq Thompson are the outside linebackers. In the secondary, the corners look to be Robert McClain and Bene Benwikere along with Tre Boston and Kurt Coleman (seven INT, one was a pick six) at the safety spots. Rookies James Bradberry (Samford), Daryl Worley (West Virginia) and Zack Sanchez (Oklahoma), along with Brandon Boykin, will look to make an impact in the absence of All-Pro cornerback Josh Norman, who is now with the Washington Redskins. OUTLOOK: The Panthers have the pieces in place for another Super Bowl run with Cam Newton leading the way on offense and Luke Keuchly on defense. This team is loaded and they expect wide receiver Kelvin Benjamin back in the fold in 2016 to go with a solid running game. Another option for Newton to get the ball to will wreak even more havoc on enemy defenses. Speaking of defense, the Panthers were sixth in total defense last year, ranking fourth against the run (88.4 ypg) and eleventh against the pass, giving up 235 yards per game. They were sixth overall in scoring defense, allowing 19.3 points per game while topping the NFL in interceptions (24) and the turnover category, where they were a plus-20 for the season. Head Coach Ron Rivera has survived numerous "hot seat" rumors in his tenure in Carolina and is now reaping the benefits of a superb team that can very well make it back to the Super Bowl. That isn't always so easy as many teams that lose the big game have a "Super Bowl hangover" the following season. Don't count on that happening with this team unless Newton or perhaps several other key players on offense or defense go down with major injuries. Whether or not the Panthers do get back to the Super Bowl depends on the health of Newton and others throughout the season. There are very good challengers in the NFC and it will not be easy. OFFENSE: Matt Ryan is back for his ninth NFL season after passing for 4,591 yards along with 21 touchdowns and 16 interceptions a year ago. Matt Schaub is back for a second tour of duty with the Falcons and will battle Sean Renfree for the back up role. Running back Devonta Freeman had a decent season, going for 1,056 yards with eleven touchdowns while averaging four yards per carry. In addition, Freeman had 73 receptions for 578 yards with three touchdowns. Tevin Coleman (392 yards, 4.5 ypc average, one TD) and Terron Ward (95 yards, 3.3 ypc, one TD) will spell Freeman. The wide receivers have Julio Jones, who made 136 catches for 1,871 yards with eight touchdowns last season, leading the way. Mohamed Sanu (33, 394) comes over from Cincinnati to play the other spot to fill the void of Roddy White, who was not re-signed in the off-season. 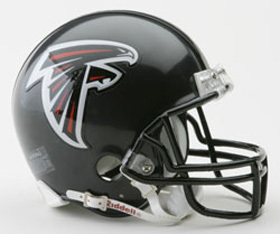 The tight end is Jacob Tamme, who had 59 receptions for 657 yards and one score. DEFENSE: Derrick Shelby and Grady Jarrett are the tackles while Adrian Clayborn (three QB sacks) and Vic Beasley (four sacks) man the ends up front. The linebackers are Courtney Upshaw and Philip Wheeler on the outside with Brooks Reed manning the middle. Rookies Deion Jones (LSU) and De'Vondre Campbell (Minnesota) along with Tyler Starr and Sean Weatherspoon will also be ready to play. The secondary features corner men Desmond Trufant and Robert Alford (two interceptions) while rookie Keanu Neal (Florida) and Ricardo Allen (three picks) look to be the starting safeties. OUTLOOK: After a .500 finish last season (following a 5-0 start to the season), the Falcons know they need to improve if they want to avoid missing the playoffs for a fourth consecutive season. Head Coach Dan Quinn will be looking for more consistency from the offense, which averaged 21.2 points per game. Quarterback Matt Ryan needs a bounce back season after only 21 TD passes last year. Julio Jones is a one-man wrecking crew but he needs help as well in a depleted wide receiving corps. The defense MUST get more pressure on opposing quarterbacks after a league worst 19 sacks last season. In addition, the secondary made just 15 interceptions while the defense finished right in the middle of the pack, allowing 348 yards per game. The NFC South has Carolina as the team to beat this year, but the division has been pretty diverse the last decade or so as far as first place goes. If the defense can muster a pass rush to go along with an improved secondary and a more robust running game, perhaps the Falcons can soar to a playoff appearance this year after going 3-8 down the stretch in the 2015 season. It would take a lot to go just right for the Falcons to break their playoff drought this season, but that's why they play the games. OFFENSE: Carson Palmer is back at quarterback for the team after a great 2015 season. The 14-year veteran passed for 4,671 yards with 35 touchdowns and just eleven interceptions. Drew Stanton will back up when needed. The running game has a pair of Johnson's as in Chris Johnson (814 rush yards, 4.2 ypc average and three TD) and David Johnson, who went for 581 yards when Chris was injured. He averaged 4.6 yards per carry and scored eight times in addition to 36 receptions for 457 yards and four more touchdowns. The receivers are led by Larry Fitzgerald, who enjoyed another stellar season, making 109 catches for 1,215 yards and nine touchdowns. John Brown had 65 receptions for 1,003 yards and seven touchdowns. Michael Floyd (52, 849, six TD) completes the trio. Darren Fells (21, 311, three TD) and Jermaine Gresham (18, 223, one TD) are the tight ends. DEFENSE: The Cardinals run the 3-4 defense and have Rodney Gunter at the nose spot with either Chandler Jones (also a linebacker) or Frostee Rucker at the tackle position. Calais Campbell (five QB sacks) is the other defensive tackle. Rookie Robert Nkemdiche (Ole Miss) will be in the trenches as well. At linebacker is Markus Golden (four sacks) and Kareem Martin on the outside, with Jones playing OLB as well. Chandler Jones is a pass rusher extraordinaire, getting 12 1/2 sacks a year ago with the New England Patriots. 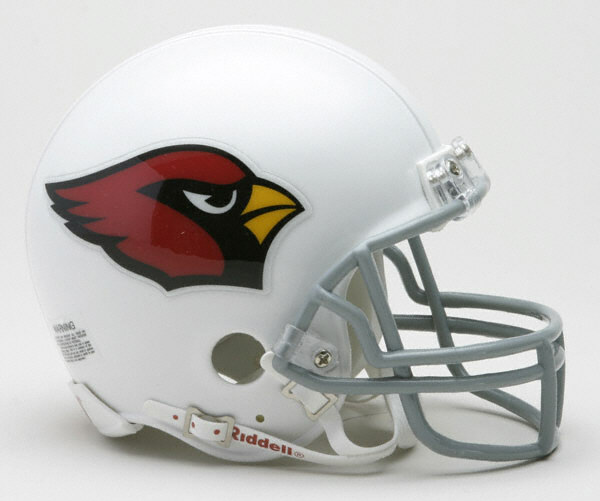 The inside backers are Deone Bucannon and Kevin Minter. Alex Okafor, Gabe Martin and Quayshawn Nealy will fill in when needed. The defensive backs are Patrick Peterson (two interceptions) and Tyvon Branch and/or rookie Brandon Williams (Texas A & M). The safeties are Tony Jefferson (two INT) and Tyrann Mathieu, who led the team with five picks, one for a touchdown. Justin Bethel (two picks) is also in the mix. OUTLOOK: The Cardinals were flying high a year ago until they got blasted in the NFC Championship Game. That bitter taste should serve as extra motivation for them entering the 2016 season. The offense is potent, scoring 30-plus points eight times last season, including 40-plus points three times. Palmer and his high flying trio of wide receivers are among the best in pro football. The running game complements the air attack for the second highest scoring team (30.6 per game) in the NFL last year. No reason to feel they can't do the same this season. The defense has a solid base as well, finishing in the top ten in the league in all four categories (run defense, pass defense, total defense and scoring defense) as they amassed 36 QB sacks and were a plus-nine in the turnover category. Their 19 interceptions were fourth highest in the NFL. Head Coach Bruce Arians knows this team is loaded and they ooze confidence heading into this season. Playing in the NFC West, their biggest challenge will be the Seattle Seahawks once again. That is the key for them winning the division once again, beating Seattle in head-to-head games. How far the Cardinals can go in the playoffs will depend on their desire to reach the Super Bowl. Barring any significant injuries or bad breaks, it's possible they can get there this season for the first time in eight years. OFFENSE: Second year man Marcus Mariota is the quarterback after passing for 2,818 yards with 19 touchdowns and ten interceptions. Matt Cassel (1,276 yards, five TD, seven INT) is the backup QB after playing for Dallas last season. DeMarco Murray, just two years removed from the NFL Offensive Player of the Year Award, is the starting back after rushing for 702 yards last season for Philadelphia. He averaged 3.6 yards per carry with six touchdowns and also made 44 catches for 322 yards with one score. Rookie Derrick Henry (Alabama) will look to get his shot this season. Bishop Sankey (193 yards, 4.1 ypc, one TD) and Antonio Andrews, who led the Titans in rushing last season (520 yards, 3.6 ypc. three TD) will also be available. 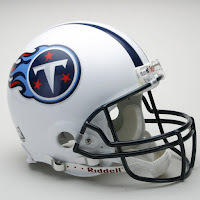 The wide receivers look to be Kendall Wright (36, 408, three TD) and Dorial Green-Beckham, who had 32 receptions for 549 yards and four touchdowns. Rishard Matthews (43, 662, four TD with Miami), Justin Hunter (22, 264, one TD), Harry Douglas (36, 411, two TD) and possibly rookie Tajae Sharpe (UMass) will be in the mix as well. The tight end is Delanie Walker, who led the team with 94 receptions for 1,088 yards and six touchdowns. DEFENSE: Al Woods is the nose tackle along with end DaQuan Jones and DT Jurrell Casey (seven QB sacks) in the 3-4 set. Rookies Kevin Dodd (Clemson) and Austin Johnson (Penn State) should see playing time. The linebacking crew has Brian Orakpo (seven sacks) and Derrick Morgan (4 1/2 sacks) on the outside. The inside backers include Wesley Woodyard (five sacks) and Avery Williamson (3 1/2 sacks) while Nate Palmer, David Bass and Sean Spence provide back up. The defensive backfield has safeties Da'Norris Searcy and Rashad Johnson along with corners Jason McCourty and Perrish Cox. OUTLOOK: It's a new start for the team this season after two disastrous seasons in a row. Head Coach Mike Mularkey will look to Mariota to continue to develop and lead the offense. The Titans could really benefit if Murray gets back in form and helps to get the running game back on track. The receivers need to improve as well as Mariota locked in on his tight end Delanie Walker quite often last year and opposing defenses took notice. The Titans offense was 30th overall (312 yards per game) while averaging only 18.7 points per game. Defensively, Tennessee allowed 26.4 points per game while ranking in the middle of the pack in yardage allowed (342 yards per game) and also ranking a respectable seventh in the NFL against the pass, giving up 230 yards per game. The only way for this team to go is up and playing in the AFC South doesn't make it that easy. The Houston Texans and Indianapolis Colts have dominated the division in recent years and Jacksonville looks to be improving. If the defense can come up with the big stops on a consistent basis and the offense can sustain drives that result in more touchdowns rather than field goals or punts or turnovers (Titans were minus-14 in that category last season) they could see improvement this year. OFFENSE: Philip Rivers is back for his eleventh season as Chargers starting quarterback after passing for 4,792 yards last season with 29 touchdowns and 13 interceptions. The backup(s) will be Kellen Clemens and/or Zach Mettenberger. 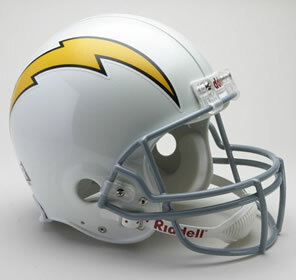 The targets for Rivers to throw to include his go to guy, tight end Antonio Gates, who made 56 catches last year for 630 yards and five touchdowns and (provided he's fully healthy) Keenan Allen, who had 67 receptions for 725 yards and four scores before going down with a season ending injury just eight games into the season. Other receivers include James Jones (50, 890, eight TD with Green Bay) and Travis Benjamin, who comes over from Cleveland after making 68 grabs for 966 yards and five touchdowns. Stevie Johnson is lost for the year with a knee injury. Rookie tight end Hunter Henry (Arkansas) will look to spell Gates in games this season. The running game features Melvin Gordon (641 yards, 3.5 ypc average) and Danny Woodhead, who ran for 336 yards (3.4 ypc) and three touchdowns while also leading the team with 80 receptions for 755 yards and six scores. Branden Oliver is insurance in the backfield. DEFENSE: In the 3-4 set, the Chargers would like to see top rookie pick Joey Bosa (Ohio State) playing the end position along with Corey Liuget (three QB sacks) while Brandon Mebane plays the nose tackle spot. Bosa seems to be in a bitter holdout over contract payment details as camp concluded this summer. Sean Lissemore and Darius Philon are ready to go when needed. The linebackers include Manti Te'o and Denzel Perryman on the inside with Jeremiah Attaocho (six sacks) and Melvin Ingram (10 1/2 sacks) on the outside. Kyle Emmanuel and rookies Joshua Perry (Ohio State) and Jatavis Brown (Akron) will provide backup. The secondary has Jahleel Addae and Dwight Lowery at the safety spots while Brandon Flowers and Jason Verrett (three interceptions) man the corners. Steve Williams (two picks), Matt Daniels and Darrell Stuckey are the primary subs. Adrian Phillips, Craig Mager and free agent Casey Hayward (Green Bay) are also available. OUTLOOK: Coming off their second losing season in four years and their worst record since 2003, the Chargers are amped up to prove last year was a fluke. Head Coach Mike McCoy brought back offensive coordinator Ken Whisenhunt this season. In 2013, QB Philip Rivers had one of his best ever seasons under the offense called by Whisenhunt and the team is hopeful they can do the same again this year. The weapons are there for Rivers to spread the football around to, but the running game, in particular second year RB Melvin Gordon (no TD in rookie season) must step it up this year. Better pass protection is a must. Rivers was sacked 40 times last season. He's one of the best quarterbacks in the league when given time to throw the ball. The defense has talent as well, but they gave up too many big plays in crucial moments a year ago and that led to NINE one-score losses that resulted in a last place finish in the AFC West. For the Chargers to improve this year, the defense must improve against the run (125 yards allowed per game in 2015) while also giving up just under 25 points per game. A better pass rush would also help. San Diego had only 32 sacks last year. It's a tall order for this team to turn it around, but never count Rivers out. The defense and the running game will be the key factors as to whether the Chargers can bolt back into playoff contention for the first time in three years. OFFENSE: Ben Roethlisberger returns for his 13th NFL season after passing for 3,938 yards with 21 touchdowns and 16 interceptions. 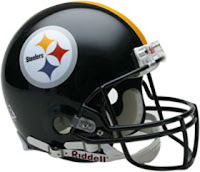 Landry Jones (513 yards, three TD and four INT in 2015) and journeyman Bruce Gradkowski are the backup quarterbacks. Le'Veon Bell (556 rushing yards, 4.9 ypc average and three TD) is slated to be the staring halfback, but he is facing a four-game suspension (after a two-game suspension last year) in addition to coming off an injury riddled season in 2015 that limited him to just six games. If Bell isn't able to go right away, the Steelers have DeAngelo Williams back again after a good season in which he ran for 907 yards (4.5 ypc) with eleven touchdowns and also 40 receptions in Bell's absence. That is a good one-two combo in the backfield. The wide receiving corps will be without Martavis Bryant this season as he is suspended for violation of NFL substance abuse policies. Antonio Bryant is the top wide receiver in the NFL, making 136 catches last year for 1,834 yards and had ten touchdowns. Markus Wheaton (44, 749, five TD) and Sammie Coates are the other wideouts along with Darrius Heyward-Bey, who had 21 receptions for 314 yards and two scores. The tight ends will be Ladarius Green (limited by injuries with San Diego last season) and Jesse James, who played sparingly last year. They are looking to fill the void left by the retirement of Heath Miller. DEFENSE: Daniel McCullers is the nose tackle in the 3-4 defense while Stephon Tuitt (6 1/2 QB sacks) and Cameron Heyward (seven sacks) play the ends. Jason Hargrave (rookie from South Carolina State) helps along with Ricardo Mathews and L.T. Walton to provide depth. The linebackers are Jarvis Jones and Bud Dupree on the outside while Lawrence Timmons (five sacks) and Ryan Shazier man the inside. Vince Williams, Arthur Moats, James Harrison and Steven Johnson will fill in. The secondary has cornerbacks William Gay (two interceptions) and Ross Cockrell (two INT) along with safeties Robert Golden and Mike Mitchell, who had three picks. Rookies Artie Burns (Miami, FL) and Sean Davis (Maryland) will get their chance as well. OUTLOOK: In spite of not having their best deep threat in the passing game and possibly not having their top running back for the first four games, the Steelers offense is among the best in the game. Quarterback Ben Roethlisberger continues to be the unquestioned leader of the team and along with Bryant and Bell, form a trio to be reckoned with. The Steelers averaged 26.4 points per game while ranking third in offense a year ago, gaining 395 yards per game. The defense was decent overall, allowing 20 points per game but the pass defense was woeful, giving up 272 yards per game and getting torched on a regular basis. That has to improve. Head Coach Mike Tomlin has a Super Bowl title on his resume and would love to see this team make it another one come February. It's possible the Steelers could be in the Super Bowl as long as they stay healthy and the pass defense shows it can cut the mustard. Look for Pittsburgh to be in contention in the AFC and make a deep playoff run that could result in another Super Bowl championship. OFFENSE: Quarterback Derek Carr (3,987 passing yards with 32 touchdowns and 13 interceptions) has blossomed in two short years into a top player and will be backed up by Matt McGloin with Connor Cook (rookie from Michigan State) holding the clipboard. Latavius Murray went for 1,066 yards (4.0 ypc average) and six touchdowns and will be the starter again. Roy Helu and possibly rookie DeAndre Washington (Texas Tech) will spell Murray in the backfield. The wide receivers are led by Amari Cooper, who was nothing short of fantastic in his rookie season, making 72 catches for 1,070 yards and six touchdowns. Michael Crabtree (85 receptions for 922 yards and nine TD) is the other starting wideout. Seth Roberts (32, 480, five TD) is another option for Carr. 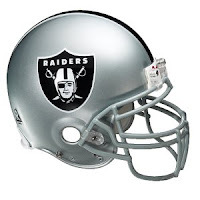 The tight ends look to be Clive Walford (28, 329, three TD) and Mychal Rivera (32, 280, one TD). DEFENSE: The Raiders have Dan Williams and Justin Ellis playing tackle with Kahlil Mack (15 QB sacks) and Mario Edwards playing the ends. Rookies Jihad Ward (Illinois) and Shilique Calhoun (Michigan State) are other options up front. The linebackers are Bruce Irvin (free agent from Seattle), who had 5 1/2 sacks a year ago and Malcolm Smith (four sacks) on the outside. The middle linebacker is Ben Heeney. The safeties are Reggie Nelson and rookie Karl Joseph (West Virginia) while Sean Smith and David Amerson (four interceptions) play the corner positions. Nate Allen is versatile in the defensive backfield. OUTLOOK: There is a lot of optimism in Oakland coming into the 2016 season for the first in many years as some feel this team is ready to make it back to the post-season for the first time since the 2002 season. A lot will depend on how well the defense plays after coming on strong last season. The Raiders finished 22nd overall, allowing 364 yards per game while giving up 24.5 points per game. The offense put up 22.4 points per game with Derek Carr playing well behind center. The running game needs to step it up to go along with the passing game to keep opposing defenses honest. Head Coach Jack Del Rio has the players to see this team make a run, but a lot has to continue to go right for the Raiders for them to get to the playoffs. The AFC West is an open division with Kansas City looming as the pre-season favorites to win the division. As long as Carr keeps the turnovers to a minimum and the defense continues to improve, Oakland can contend in the AFC West this season. Whether or not they make the playoffs this year depends on how they do in head-to-head games against their division rivals. 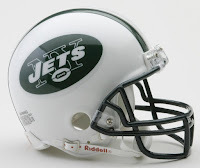 OFFENSE: After squabbling over a new contract, quarterback Ryan Fitzpatrick recently signed a one-year deal and will be the Jets starter in the 2016 season. Fitzpatrick had his best ever season a year ago, throwing for 3,905 yards with 31 touchdowns and 15 interceptions. He also gained 270 yards rushing and scored two rushing touchdowns. Geno Smith is the backup. The running game will have a new (different) face leading the way this year as Chris Ivory left for Houston. In his place is Matt Forte, who played eight seasons with the Chicago Bears. Forte gained 898 yards on the ground for a 4.1 ypc average and scored four times along with 44 receptions for 389 yards and three more scores. Backing up Forte will be Bilal Powell (313, 4.5 ypc and one TD) and Khiry Robinson (180, 3.2 ypc and four TD). The wide receivers are both coming off exceptional seasons as Brandon Marshall (109 receptions for 1,502 yards and 14 touchdowns) and Eric Decker (80, 1,027 yards and 12 TD) form one of the best WR tandems in the league. Devin Smith (9, 115, one TD) and Kenbrell Thompkins (17, 165 yards) provide depth. The tight ends are Kellen Davis and Jace Amaro. DEFENSE: In the Jets 3-4 look, nose tackle has a new man up front as Steve McLendon comes over from Pittsburgh to start. He will team with ends Sheldon Richardson (five QB sacks) and Muhammad Wilkerson (12 sacks) to provide stellar defense. The linebacking unit is comprised of David Harris (4 1/2 sacks) and Erin Henderson on the inside while Lorenzo Mauldin (four sacks) and Trevor Reilly man the outside. Rookies Darron Lee (Ohio State) and Jordan Jenkin (Georgia) will look to make an impact as well. The secondary has ten-year veteran Darrelle Revis (five interceptions) at one corner spot while Buster Skrine and Marcus Williams (six picks) play the other cornerback spot. The safeties are Marcus Gilchrist (three INT) and Calvin Pryor. OUTLOOK: As long as the Jets play solid defense again in 2016, they will be in most of their games. Five of their six losses last season were one-score games, so they don't get blown out and that's a testament to their defense, which ranked fourth overall last year. The Jets allowed 19.6 points per game while finishing second in the NFL against the run, giving up only 83 yards per game. They also intercepted 18 passes and racked up 39 QB sacks and were a plus-six in the turnover category. If Ryan Fitzpatrick can have close to another season as he did in 2015, the offense will be solid as well. The Jets scored 24 points per game a year ago while ranking in the top ten in rushing and total offensive yardage per game. Brandon Marshall and Eric Decker give the bearded quarterback two great targets to throw to and now add in RB Matt Forte as a receiver out of the backfield and that puts even more pressure on opposing defenses. Head Coach Todd Bowles brought with him a no nonsense approach in his first season with the Jets and they won ten games and just missed the playoffs, so he is looking for nothing less than the post-season this time around. A very tough schedule in the first seven weeks will be a huge test for this team. If the Jets can emerge from that with three or four wins, they could very easily make the playoffs. That's the big question facing the team this year. OFFENSE: Once his four-game suspension from the NFL is complete, Tom Brady will be the starting quarterback for the team. Brady passed for 4,770 yards last season with 36 touchdowns and only seven interceptions. In the interim, Jimmy Garoppolo will be the starter. The running game has three able backs in LeGarrette Blount (703 yards, 4.3 ypc average and six TD), Dion Lewis (234 yards, 4.8 ypc, two TD and 36 receptions for 388 yards with two TD in six games) and James White, who scored two rushing touchdowns while catching 40 passes for 410 yards and four scores. The receiving corps are led by tight end Rob Gronkowski, who is Brady's go to guy and had 72 receptions for 1,176 yards and eleven touchdowns. Danny Amendola (65, 648, three TD), Julian Edelman (61, 692, seven TD) and Nate Washington, who had 47 receptions for 658 yards and four scores with Houston in 2015, will be the primary wide receivers. Tight End Marcellus Bennett comes over from Chicago, where he had 53 catches for 439 yards and three touchdowns last season. Wide receiver Chris Hogan is another option in the passing game and he had 36 receptions for 450 yards and two scores with Buffalo last season. 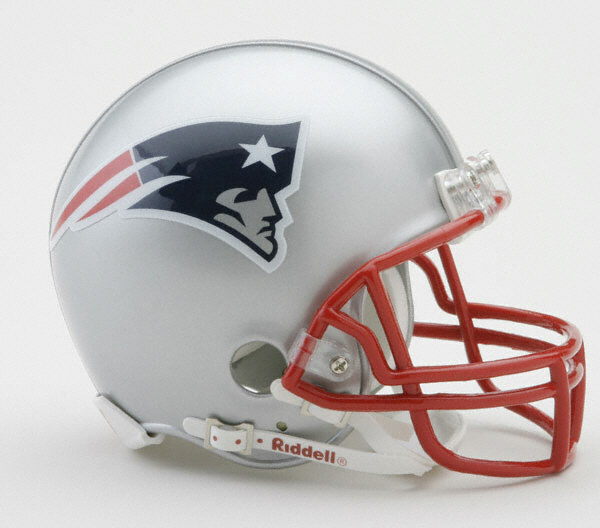 DEFENSE: Playing the 4-3 defense, the Patriots will have Terrance Knighton and Alan Branch at the tackle positions along with ends Jabaal Sheard (eight QB sacks) and Rob Ninkovich, who had 6 1/2 sacks. Chris Long and Malcolm Brown add depth in the trenches. The linebackers have Jonathan Freeny in the middle with Jamie Collins (5 1/2 sacks) and Dont'a Hightower (3 1/2 sacks) while Shea McClellin will spell the tandem. The secondary features corner men Logan Ryan and Malcolm Butler along with safeties Patrick Chung and Devin McCourty. Rookie Cyrus Jones (Alabama) and Justin Coleman, along with Duron Harmon (three interceptions), E.J. Biggers and Jordan Richards will provide back up in the defensive backfield. OUTLOOK: With Brady out for the first four games, opponents will be licking their chops to knock the Patriots down in the standings. However, Head Coach Bill Belichick is a master at getting the most out the 53-man roster. As long as Brady and Belichick are around, the New England Patriots are always in the hunt for another Super Bowl title. Look for the team to continue to light up the scoreboard (Pats were third in the NFL is scoring last season, averaging 29 points per game. However, they need the running game to get back in gear after ranking 30th overall last year. The health of their backs is crucial to that as they look to come back from injuries. The passing game is solid and Brady-to-Gronkowski is synonymous with pro football. Wideouts Julian Edelman and Danny Amendola provide even more targets for Brady. The defense was in the top ten overall in 2015, giving up 339 yards per game and also ranked ninth against the run, yielding 98.8 yards per game. The pass defense was so-so, giving up 240 yards a game. The Pats only gave up an average of 19.7 points per game, so they played stronger in the red zone. 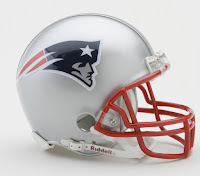 Look for New England to cruise to another AFC East division title again and advance deep into the playoffs, possibly reaching and winning the Super Bowl. This team (and the fan base) expects nothing less.